Stem cells of the cord blood and mesenchymal stromal stem cells have been successfully used clinically ans experimentally for the treatment of various diseases and cancers. 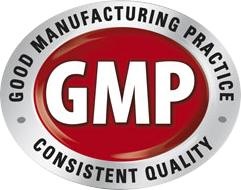 There are also many experimental applications in regenerative medicine and in manufacturing various grafts. The use of hematopoietic stem cells is already applied in autologous and allogeneic transplantation for lymphomas and various types of cancer, blood cells proliferation disorders, immunodeficiencies, of hemoglobinopathies for myelodysplastic syndromes, etc. There are undergoing clinical researches for applications for multiple sclerosis, several heart diseases (myocardial infarction, heart failure), type I diabetes, liver cirrhosis, various hereditary diseases, etc. The probability that a person will need autologous hematopoietic stem cells trasnplant (ie transplant from his/hers own stem cells) during his/hers lifetime, is estimated at 0.25% – 0.50%. This percentage is expected to increase at least to 1%. In the above, we do not calculate applications of regenerative medicine where the natural regenerative properties of stem cells can be used to repair various disorders of the body. Cellular therapies are using stem cells to recreate specific cells that are defective or dead. In these cases the genetic compatibility is a prerequisite and that is why the storage of stem cells of the same individual is a big advantage (since it is fully compatible with the doner). 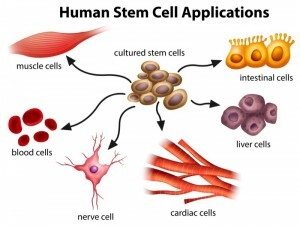 A basic property of stem cells is their ability to be attracted to the site of injury (homing). Most stem cells can be administered intravenously and then “migrate” to the damaged area. When they reach the damaged area, they will “communicate” chemically with the cells of damaged tissue and they will differentiate into cells needed by the body for tissue repair.